Isn't it time for the government to review the ridiculous 4M rule? Car makers adjusted to this by chopping off boots and in the process made the cars ugly and less practical. Who gained? Some lightbulb bureaucrat came up with this hacked up plan and we are all silently suffering. 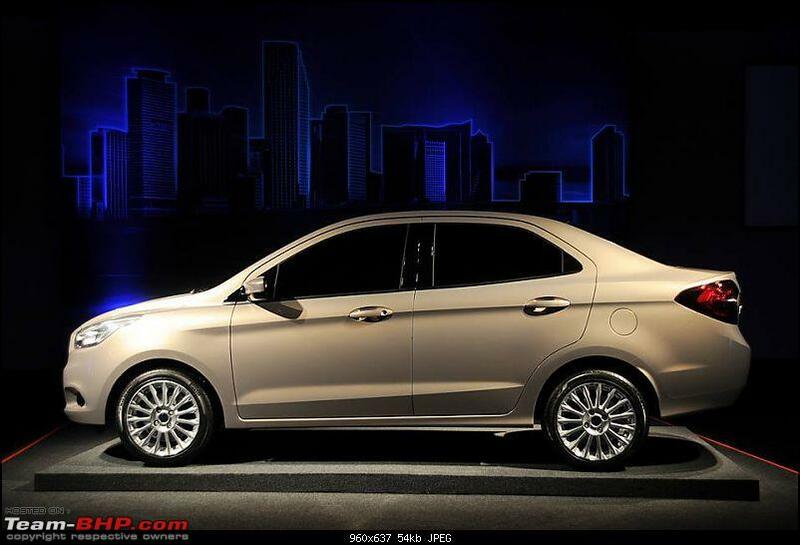 This is Figo Sedan meant for export markets! It's here! And it's official! The only review that counts is out. Finally! Well worth the time. Great review with a fantastic eye to detail. One of the best Team-BHP reviews I have ever read. Thanks for the same. Interiors:Fit n' finish has improved a LOT! I could find no ill fitting bits. Batman inspired central console looks good and small touches like the beautiful climate control buttons make this place good to be in. The rear seats have improved considerably and the recline angle is spot on this time. Overall, Ford has done a great job here! Am I happy that I bought the Classic? Absolutely! The five months that she has been with us, it has been a superb journey. Compromising on better looking interiors and more features, what we got is hard to find in cars these days. The EPS in the Aspire is no match for the Classic. The handling in superb and stability on highways is great. Exteriors are still better than the Aspire. The suspension though feels stiff during slow speeds is a joy on the highway. And, the best part of course is the 1.6 Duratec. That thing just begs you to rev harder and harder. Not to forget the build quality which is a notch better than the Aspire. BUT, I really envy the Aspire when it comes to fit and finish. The Classic always had a long way to go when it came to fit and finish to justify the price tag. Ford, now what you need is proper marketing. This one has the potential to put the sales chart on fire! 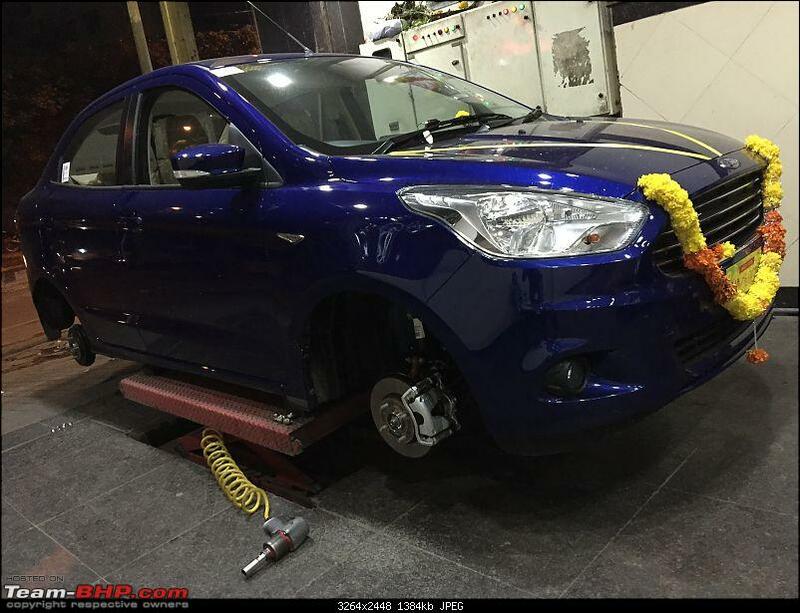 And one wish: I hope that the Figo has a stiffer suspension than the Aspire. The car it replaces(i.e. the earlier Figo) was an enthusiast's hatch but lacked the power. The 1.5 has the power, and now it needs the handling to match it. Fantastic review Tushar & Aditya. Iam super impressed with the details you guys covered. Hats off !!! Would highly recommend folks getting this car to swap the tyres. It has dramatically changed the overall characteristics of the car. 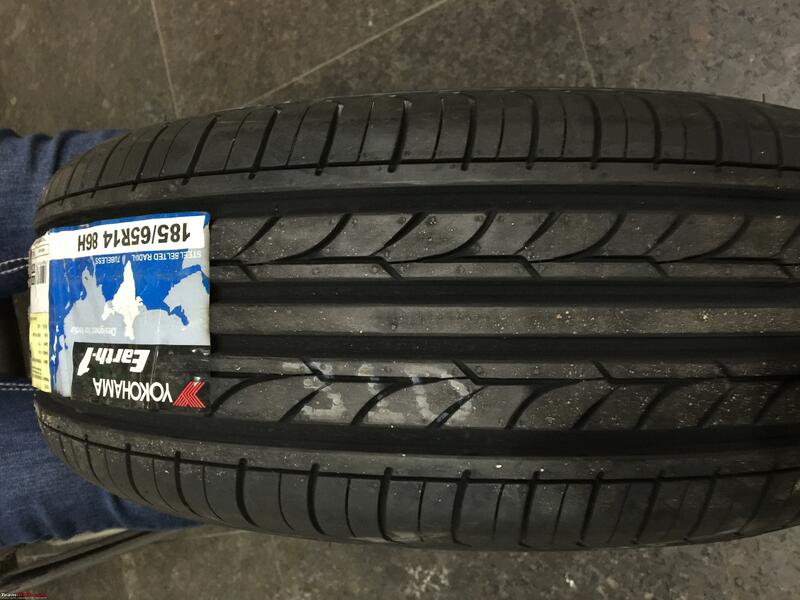 With stock tyres, the steering at slow speeds was light but, with just 10mm increase the steering feel has improved a lot and its now a whole lot tighter and its a slight effort to turn the steering now. 2. When I shut the doors, it doesn't shut with a "Thud". Its a meek "Thak"
Last edited by mobike008 : 19th September 2015 at 18:40. 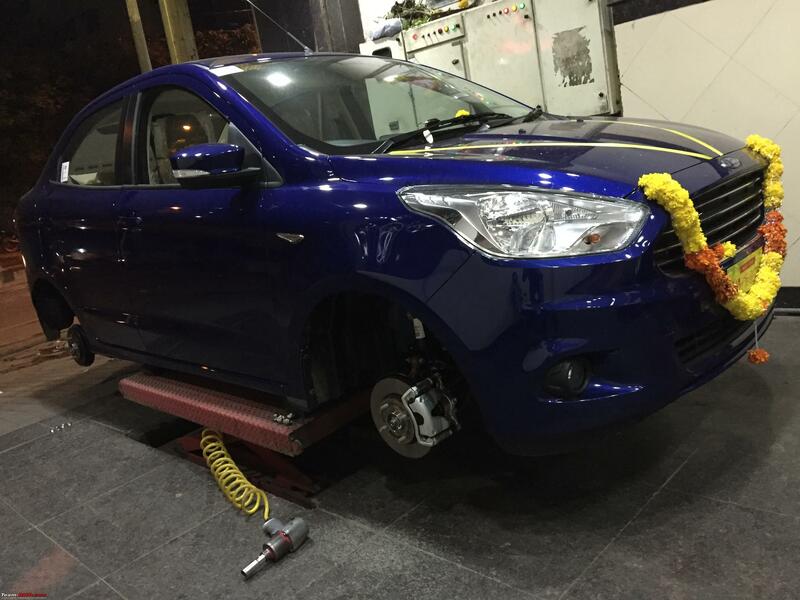 To kill some time, I had gone over to the Elite Ford showroom in Bangalore. Just a few people in the showroom (a stark contrast to the times of Ecosport) were checking out the car. The sales advisor was earnest and rattling off numbers like he was giving a viva. Took it out for a test drive and was blown away by the pace of the car! I own a Figo Diesel, drive around an SX4 and i20 occasionally and just recently had TDed a Rapid and this was much better. The handling was not a patch on the earlier Figo but acceptable by regular standards. What turned me off were the interiors. So wish it came in all-black. Not sure how the shiny black plastic of the center console and the dull beige go together. I feel this might be a major reason for the car not doing that great in sales. 6 airbags and the stonker of an engine might appeal to a limited audience but cannot be sales drivers. I hope I am wrong. P.S: Was surprised to know that the sales advisor didn't know how to drive! Congratulations Avi on the Aspire. That's one beautiful shade you chose. Excellent! Great Review. Thanks very much Tushar and Aditya. Nothing can beat T-BHP in terms of the qualitative reviews. It's above all. Period. 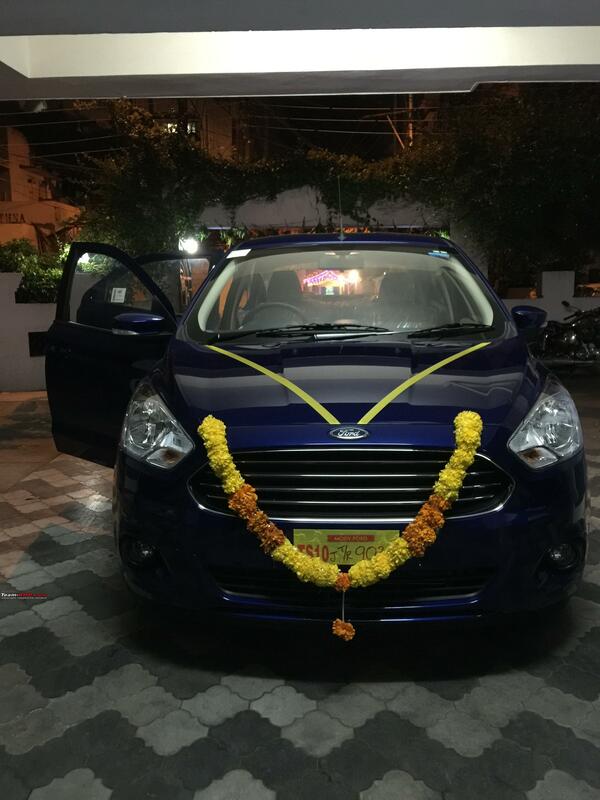 Hearty Congrats Mobike and wishing you to have happy driving delight with this car. Really happy to know the steering response has improved after you've swapped the stock tyres with 185mm Yokohama. I would love to read more about that on your ownership thread. Just a quick question. 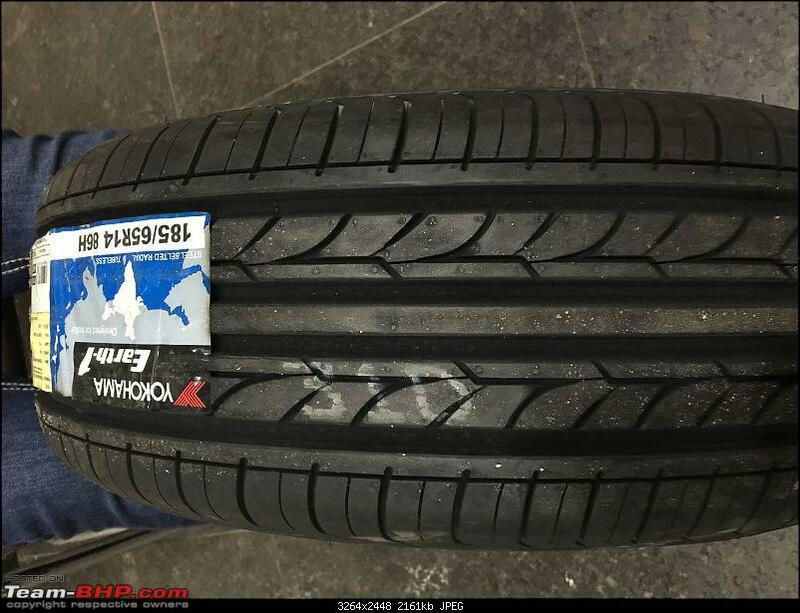 How much you had to pay for the new tyres? Last edited by Wildy : 19th September 2015 at 20:37. I second your opinion on this because a company cannot continue catering to 'Enthusiasts' only section of consumers and Ford would definitely want their cars to be accepted by a major chunk of this "Mass Market" section, if anyone was expecting a car that would delight us with sports car feel or the good old Ford engine then they would surely be disappointed. I have sobered down from a spirited driving style which included a fair amount of abuse of the petrol engines I have driven earlier, I liked cornering my Beat with upgraded tyres on expressway but I would not try this with Ford Figo Aspire for sure and I am okay with this because it serves my purpose of providing good ride quality for a diesel car in the city and though it is too early to comment on fuel efficieny but at close to 800kms logged on odometer now I am getting 17.6 kmpl currently. When customers are not giving up on cars like Alto, Swift, i10, Datsun Go, Grand i10 even after global crash tests results pulled down their safety claims, I fail to understand so much concern voiced about a new entrant which has not yet gone through any accredited crash test and has safety features which were not provided by most competitors on the same segment earlier. Congratulations mobike008 on your new car !!! Last edited by dpkbehera : 19th September 2015 at 21:10. I picked up the top-end Aspire on the auspicious occasion of Ganesh Chaturthi (2 days ago). Wish you happy motoring and many mile munching. Thanks for the review folks, little late than expected as we had two very useful ownership reviews already but definitely the review was worth the wait. An ardent Ford TDCi engine fan, have used a Ford IKON TDCi for 6+ years and it was a joy. I upgraded to a VENTO 1.6 TDI last May but ended up selling it a month before because the mileage returned by the vehicle in City limits was burning my pockets. But boy-o-boy the 1.6 TDI was a class of its own in terms of performance. But to be honest I loved the driving dynamics and steering feedback of my IKON more than the VENTO. I'm not a big fan of the compact sedans and being trying to force and convince my head for the Aspire since a couple of days but its just not pleasing me beyond the C pillar :(. I've heard in one of the review (unable to recall) that the rain droplets splattering on the roof make quite an abundance of noise in the Aspire cabin, is this true? Are Ford cars no more strongly built and made of thin crappy sheet metal? I would be deeply saddened if this is true. I've also heard that the TDCi engines tend to lose their grunt in the due course where as the Fiat MJD's go strong till the end, would like to ask the existing TDCi owners if my statement is right. I drove the TDCi for almost 70k kms on the odo and yes I did feel a very very minor lag in the engine performance. Coming to the fitment gaps in the boot section of the Aspire, around the tail lamps etc, totally unacceptable. And the interior section of the boot is absolutely pathetic. The pictures provided in the review say it all. The Titanium version of this car comes up to 9.5L OTR and its no small amount for Ford to provide us such a junk in the boot area. Awaiting the launch of the Figo hatchback on the 23rd. Exterior looks nice, been viewing the Brazilian Ford KA reviews quite often on youtube. Saw the spy interior pics of the car on teambhp. All black, Grey and Cheap silver plastic inserts isn't impressing me much. 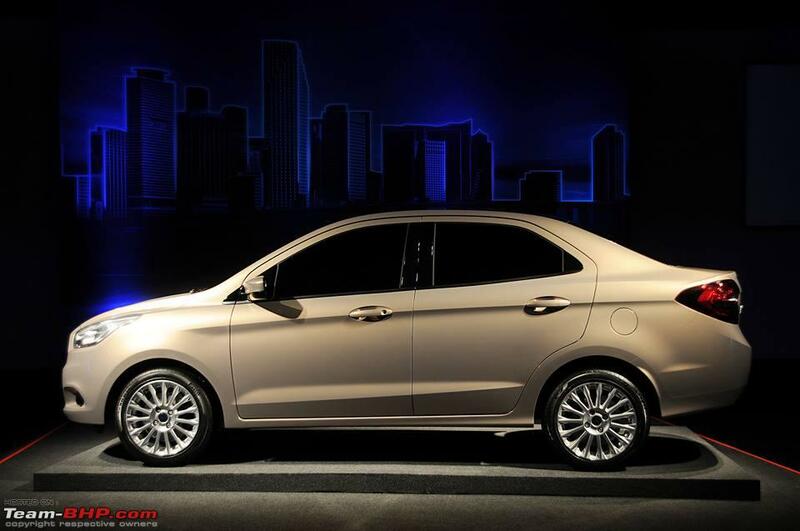 They should have launched it with the same color combinations of the Aspire interiors <sigh>. As per my knowledge, same engine options of the Aspire would be flowing over to the Figo hatch as well. Not sure about the 1.5L Ti-VCT automatic though. This is actually called the Ford Ka plus in the Brazilian market and its been around an year now since they were launched. This 4m funda is really killing me as well. Mod Note: Please use the EDIT or MULTI-QUOTE buttons instead of typing one post after another on the SAME THREAD! Last edited by Gannu_1 : 20th September 2015 at 22:58. Reason: Back to back posts merged. Please edit your post within the 30-min window to add content to your post. 1) my height is 5 7, i found aspire seats too narrow compared to figo,but had better under thigh support,height adjustment was way better than figo. 3) turned the igniton on,and put the music system off to check the noise and refinement of diesel engine. Sadly was disappointed,it was quite loud inside the cabin and when i pressed the clutch to reverse the car,could feel the vibrations on the pedals as well.My figo diesel has clocked 51000kms and still felt much better in terms of refinement and no vibrations on pedals whatsoever. 4) steering was ultra light compared to old figo,a boon in city,but i still preferred the feel of old figo. 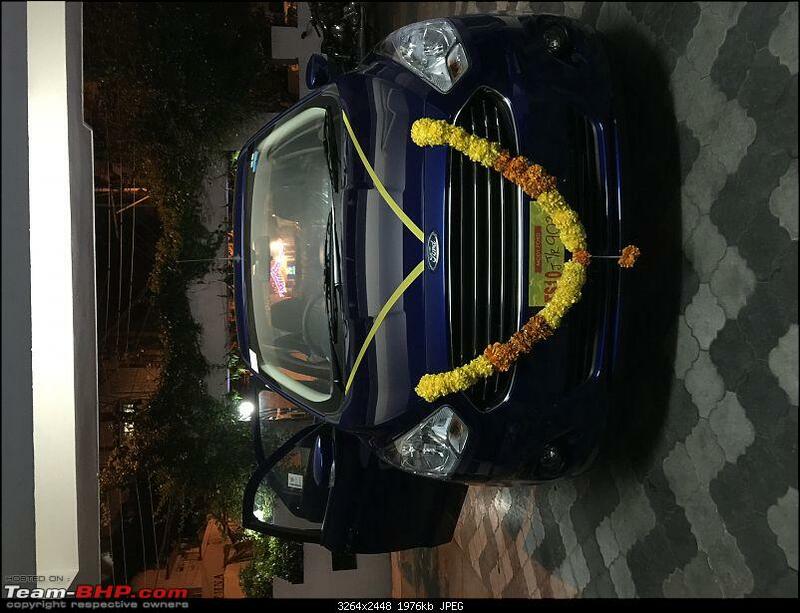 5) the showroom location was ideal for a test drive,a mixed balance of bumper to bumper traffic,open stretch of road to check highway capability and bad roads.almost 2 kms total test drive,500 metres traffic 1.5 kms highway with mixed patches of bad roads,Having reached the showroom in figo diesel and then driving the aspire diesel noticed these differences,aspire has better driveabilitiy in bumper to bumper traffic,could pull easily from standstill in second gear as well.steering was ultra light,the traffic pothole roads the aspire felt better than figo,hardly any body roll.once open stretch the aspire power blows you away,floored the accelerator and was pushed back in my seat and once i reached fourth gear i braked and slowed down and again pushed the accelerator fully and was mighty impressed with the pickup again,there was no need to downshift after braking and aspire picked up speed quickly with ease in fourth gear itself. 7)the backbenchers felt cramped in the rear,they told me to stick to the figo diesel,as they couldn't feel any need to upgrade. 8)even the ac they found it similar to old figo,which is very powerful,and cools the cabin without any fuss. Looks like Ford know that they're extremely late, hence have just added a laundry list of features to get the customers' attention. It looks like a terrific product and is VFM. I'm surprised that it beats the Fiesta on back seat knee room. Just good marketing and minimizing waiting periods can keep a lot of customers interested for sure. (. I've heard in one of the review (unable to recall) that the rain droplets splattering on the roof make quite an abundance of noise in the Aspire cabin, is this true? 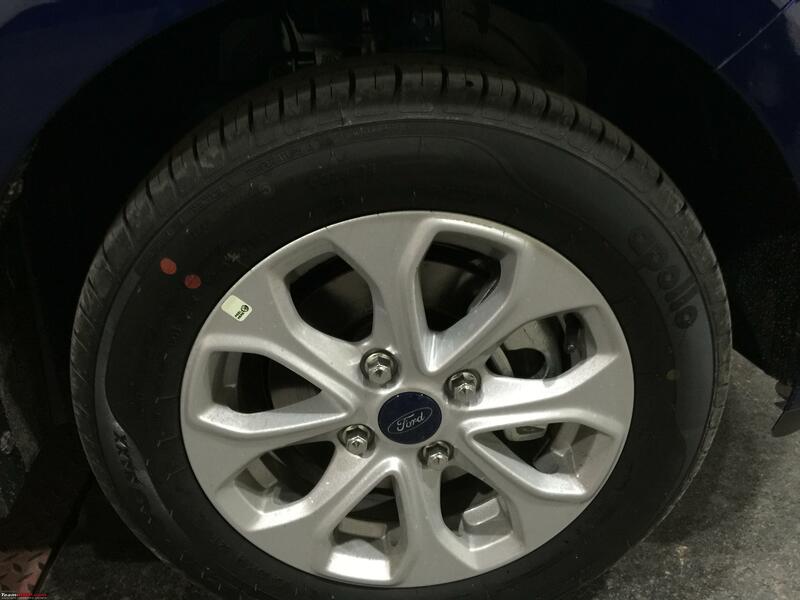 Are Ford cars no more strongly built and made of thin crappy sheet metal? I would be deeply saddened if this. I have driven my Aspire in heavy rain last entire week, roof is not noisy as it sounds exaggerated to be. It is true that Ford has resorted to cost cutting because when I visited Ford showroom yesterday to collect some documents my Wife casually sat in an Ecosport and she also noticed the difference of 'thud' vs 'thak' sound while closing front door. This could be a boon to bump up the mileage and a bane in compromise on safety, both factors I would be tracking in my ownership tenure.